Available from Amazon in paperback or kindle. Also from the Book Depository (free international shipping). 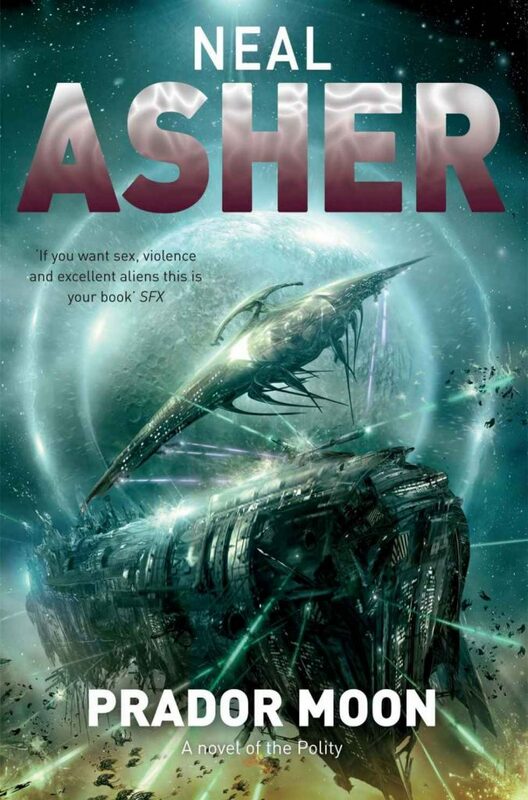 Neal Asher takes on first contact, Polity style. This original novel recounts the first contact between the aggressive Prador aliens, and the Polity Collective as it is forced to retool its society to a war footing. The overwhelming brute force of the Prador dreadnaughts causes several worlds and space stations to be overrun. Prador Moon follows the initial Polity defeats, to the first draws, and culminates in what might be the first Polity victory, told from the point of view of two unlikely heroes.